Kitchen Whiz Not A Swizz! [By Róisín Curé in Galway, Ireland] My daughter Liv attends an Irish-speaking school. 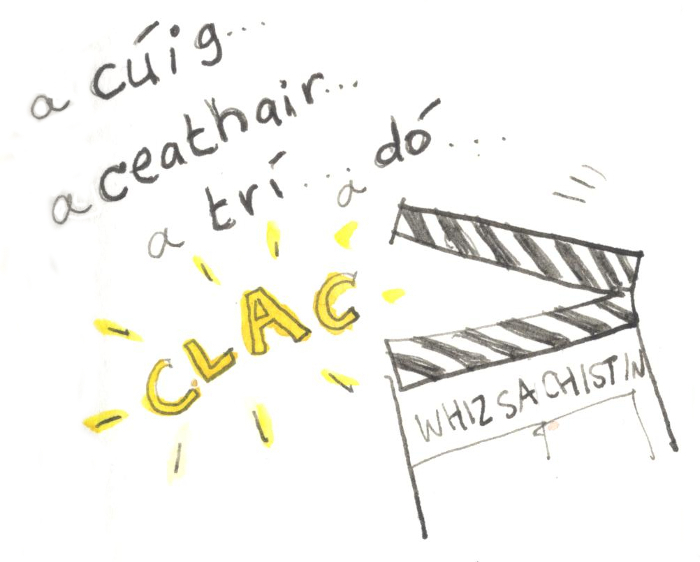 One of the many lovely things they've done is to be asked to take part in a new TV show for the Irish language TV channel, TG4. 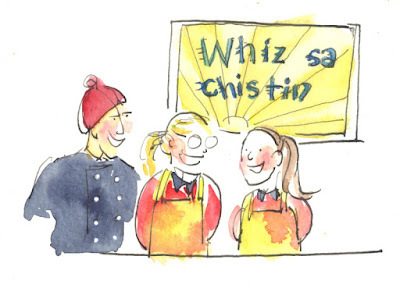 It's called Whiz sa Kitchen and is the Irish version of Kitchen Whiz, an Australian cooking game show for kids. 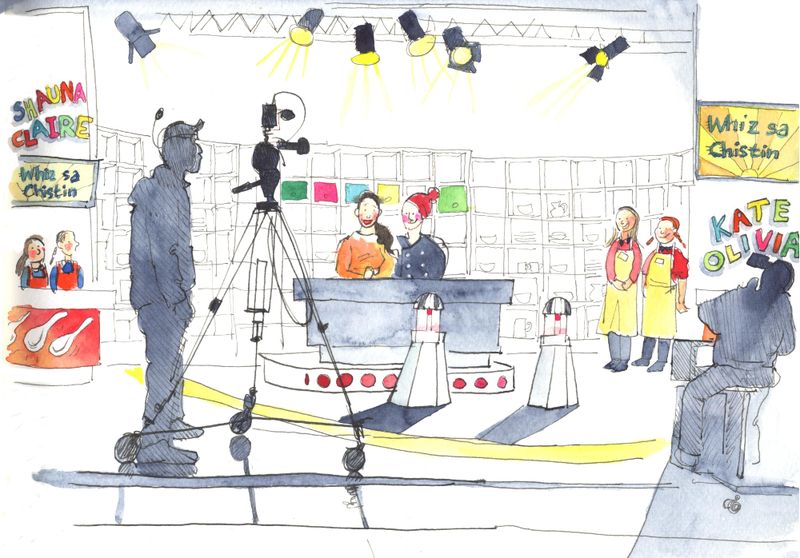 Liv's class had made the trip out to the studio the previous week, but Liv hadn't taken part. "I HOPE no one is sick today Mum," she'd said to me in the morning. "I'll DIE of nerves if I'm asked to do it!" Then, when I collected her, it was a different story. "I was asked to do it," she said. "I had my chance! And I turned it down! Now I really regret not doing it." So, when she was given a second chance, she jumped at it. That's how I found myself at a very odd studio in Galway yesterday. ...and recording began. 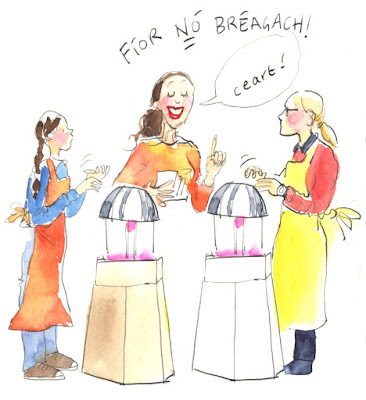 The first game was "Fíor nó Bréagach" (True or False) and my girl was up against a girl with brown plaits and an orange apron. If they knew the answer, they had to whack a silver bowl on top of a pink cathode tube that lit up neon blue. My girl just wasn't up to the mettle of the other young lady, and after the first round the yellow team had fallen behind. "Lámha san aer!" came the shout. Hands in the air! Our girls won that round. I could feel my competitive streak, never far away, coming to the fore. Next was another challenge: this time the girls had to make canapés. I watched the proceedings on the closed-circuit TV camera beside me. Hey, they were far away and I was sitting in almost total darkness! Our girls made very neat canapés and the other team made messy ones. They were given equal points. Hmmm. 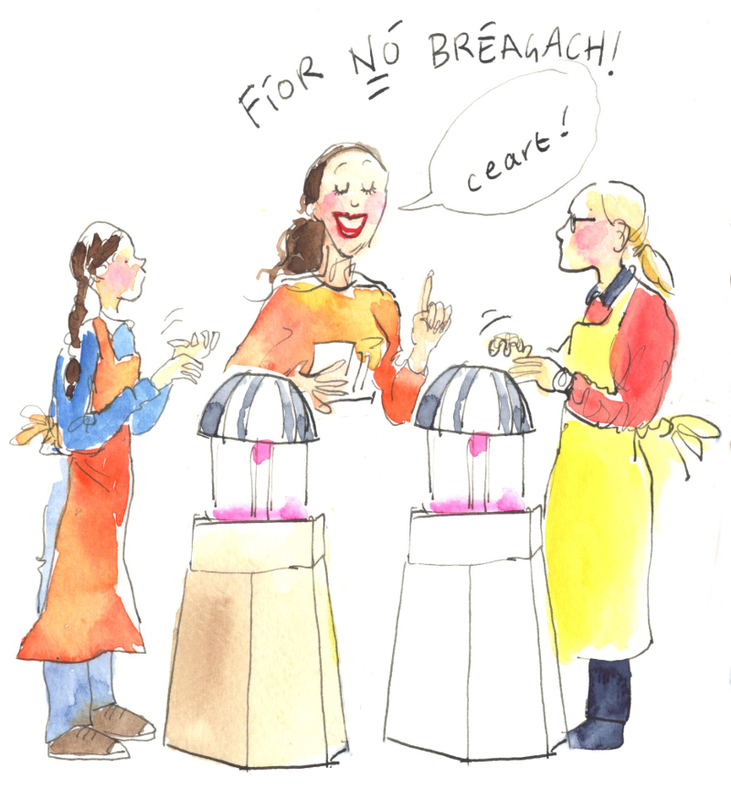 Next was another round of Fíor nó Bréagach. Kate, Liv's friend, was opposite the second girl from the orange team. More whacking of the silver bowls when you figured you knew whether the statement was true or false. But what's this? Kate's cathode tube wouldn't light up! Whack harder Kate! I shouted inside. But - no! She has a bandaged hand! And the cathode tube thingy isn't working properly! It's not fair! Stop! STOP! It's only a kids' game. I calmed down. Team Yellow lost the round. But we weren't out yet. One more round. "Now lads, that last round wasn't fair. Let's give the entire game to Team Yellow." When all was checked, the last challenge got underway. 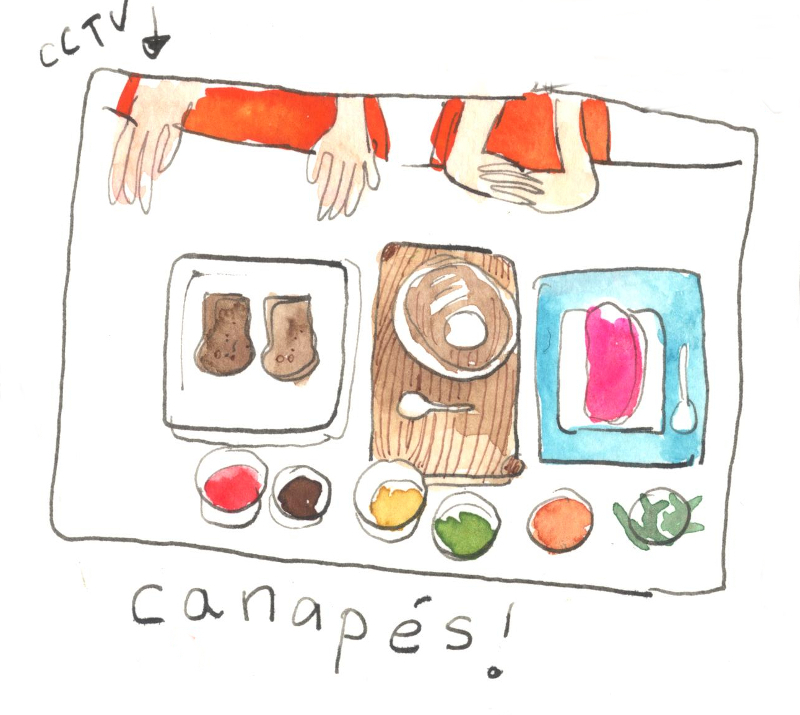 "You have to stuff this bowl of olives," said the presenters, or something like that The Kitchen Ninja showed them how. The clock started. 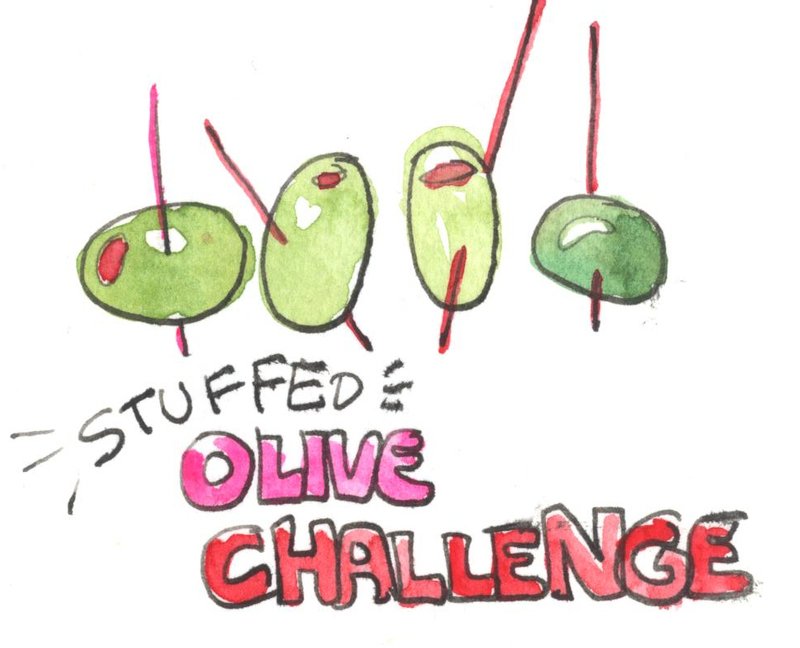 Team Orange had four olives left unstuffed when the bell went. Team Yellow had six. But it's not fair! How can a girl with a bandaged hand stuff olives? Swizz sa Chistin, more like! Afterwards the girls were disappointed but resigned. 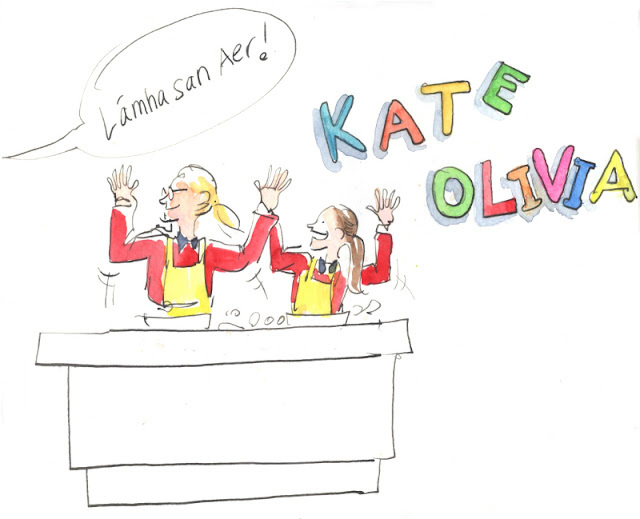 "I can't believe I forgot that sardines were a type of fish," said Kate. Okay, maybe it was a fair win. The winners were fêted. The losers were given a bag of gewgaws to take home. 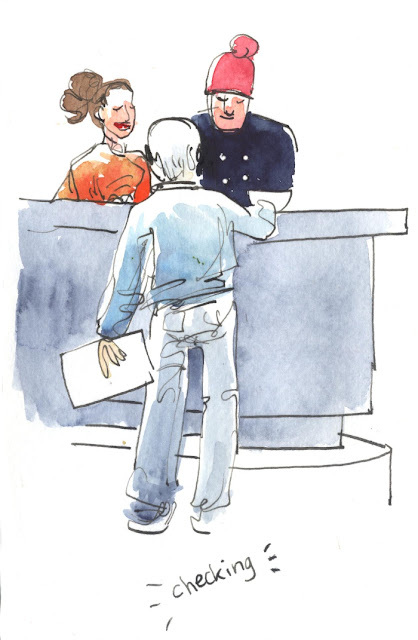 A longer account of the day can be found here.